This will serve as a nice light post in between relatively large posts. This was ready to be posted last Friday but I forgot until today. I’m just happy to be getting some posts out during the holiday season since I’ve averaged about one post a December since I started this thing. 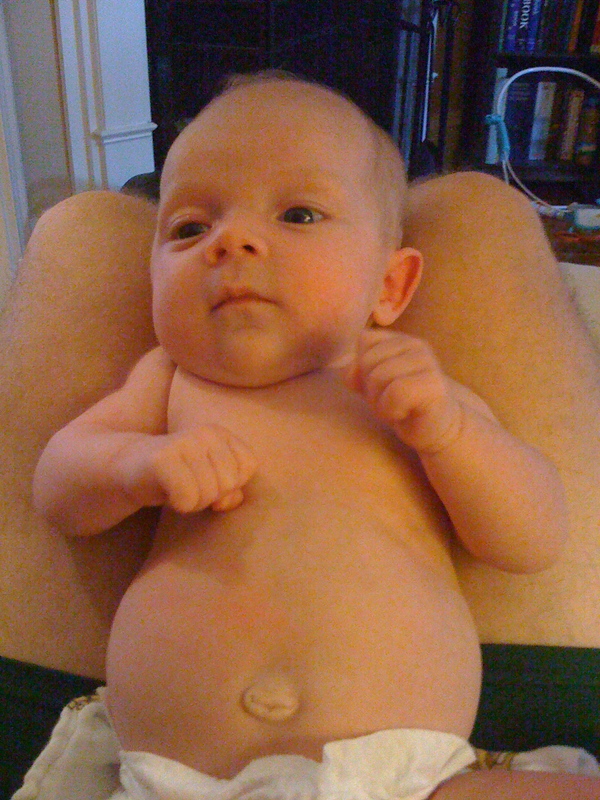 I believe in family time and unplugging the computer during the holidays which is why I like to post minimally. YeeeeeeeeeeeOK, Pete!!! I open more text messages than presents on Christmas morning. I love technology and I’m just lazy about posting. Instead, I am trying to make clear the difference between a standard grocery store shrimp and what I cooked for this post: fresh shrimp, caught in the Gulf of Mexico, never frozen, and with the head left on. Most shrimp you get in the grocery store or even a fish market is previously frozen and partially cleaned (head removed and deveined) before you buy it. Even worse is when it’s all of those things then cooked and refrozen. I love using frozen raw shrimp as an ingredient, but the true flavor of shrimp barely exists with the head and shell taken away. It’s like the difference between a chicken breast and a bone-in chicken thigh; both can be delicious, but only one really tastes like chicken. I discovered the fresh head-on shrimp at the fish market on my last visit to Naples and couldn’t wait to get my hands on it again. This time around as part of a progressive (read spaced out, random, small plates) dinner on our last night in Naples for Thanksgiving. On the menu: stone crab claws, a pseudo Thai-style shrimp, and fish tacos with our haul from a fishing trip the day before. 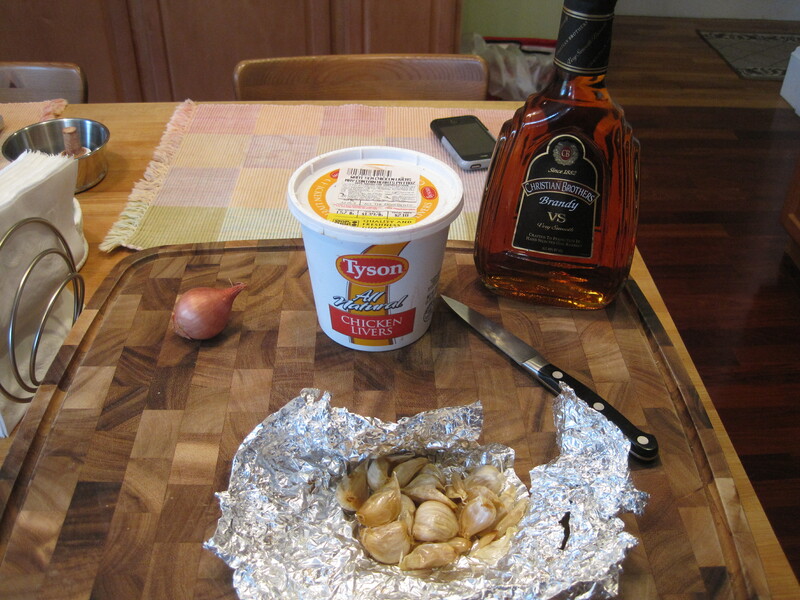 I’ve covered most of these items previously, so let’s skip right to the shrimp prep. I started with 7-8 cloves of garlic, half a red onion, a few baby carrots, a rib of celery, and some leftover ham in the mini-prep. 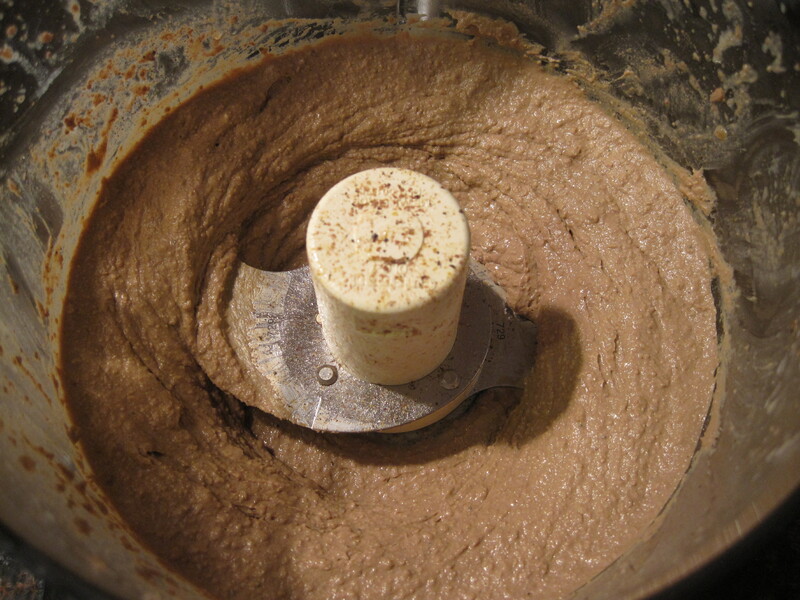 With a few spins in each direction, the ingredients were coarsely chopped and a relatively uniform size. I heated up a couple tablespoons of olive oil and a couple tablespoons of chili oil in a pot before dumping the contents of the mini prep in (the mirepete). After a few minutes, the garlic and the sugar in the ham started to brown and I seasoned with a little curry powder, salt, and pepper. At this point I added a dark beer (it was actually an Odouls, still working through the backlog from Kristi’s pregnancy a year and a half later) and let it boil down for 5-10 minutes. Once it had reduced by about half, I added a can of coconut milk and let it heat to a low simmer. After a few minutes of simmering, the coconut milk was well blended with the reduced beer and chili oil. After a quick rinse under some tap water, I uncerimoniously dumped just under two dozen large head-on shrimp into the pot. After a quick stir to make sure every shrimp was covered in the liquid, the heat went up and everything boiled together for about 3 minutes. After doing a quick check for firmness (three minutes was probably too long), I pulled the pot off the heat and stirred in a handful of chopped basil. Next step was plating and as usual I made some ungodly effort to dress things up. It was pathetic as expected, with each dish getting three shrimp with barely attached heads and a hefty spoonful of the broth they cooked in. Served with a flourish of dramatically placed basil as a garnish. Awwwwww yeeeaaahhhhh, Pete! Put that leaf there! Show the world what you got! Eating shrimp like this is pretty sloppy, and there really isn’t a delicate way to do it. Your only choice is to make a mess shelling the coconut milk and chili oil coated shrimp by hand, but I promise it is well worth it. The shrimp itself doesn’t take on a lot of the chili and coconut milk flavor, but you can dip in the broth remaining in the bowl. The combination of the rich sweetness and the spicy oil works so awesome with shrimp, and the broth actually tastes of shrimp since the heads and legs have boiled in it. Speaking of the heads, the best part of head-on shrimp is sucking on the heads after you separate them from the bodies. There’s only a little meat and shrimp fat to be had, but the flavors of the boil end up concentrated in the head area. It tastes a little like mild fish liver, but also with a strong sweet shrimp flavor. Definitely not for everyone, but if you eat lobster roe and tomalley or enjoy the flavor in the body of soft shell crabs, you will enjoy gnawing on some shrimp heads. Might break this next mega post up into a couple posts with a few days in between. You must be so excited. 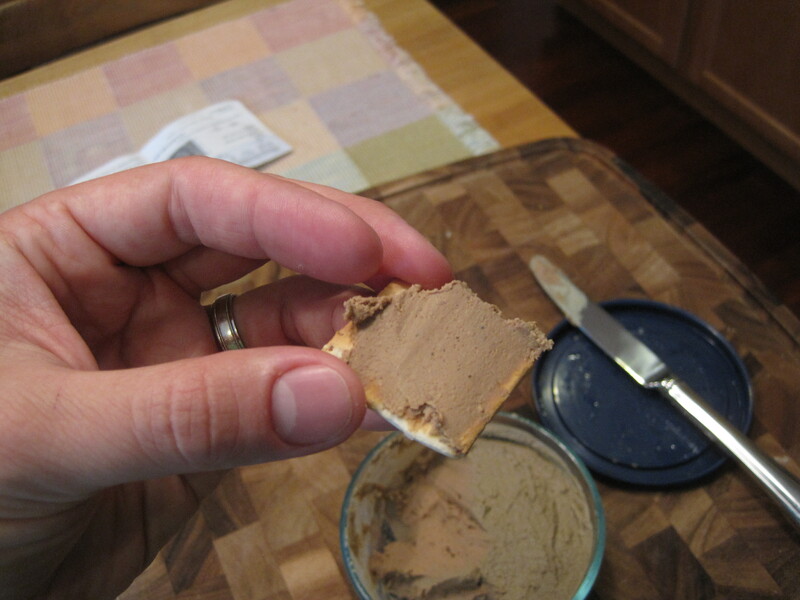 Growing up, one of the meals in the Ryan family rotation was “pate night”. That’s a fancy way to say we had cheese and crackers for dinner along with some slices of summer sausage, liverwurst, and teawurst. Over the years as the offerings at Kings in Bernardsville improved, this meal evolved a bit to include various country pates and liver mousses. 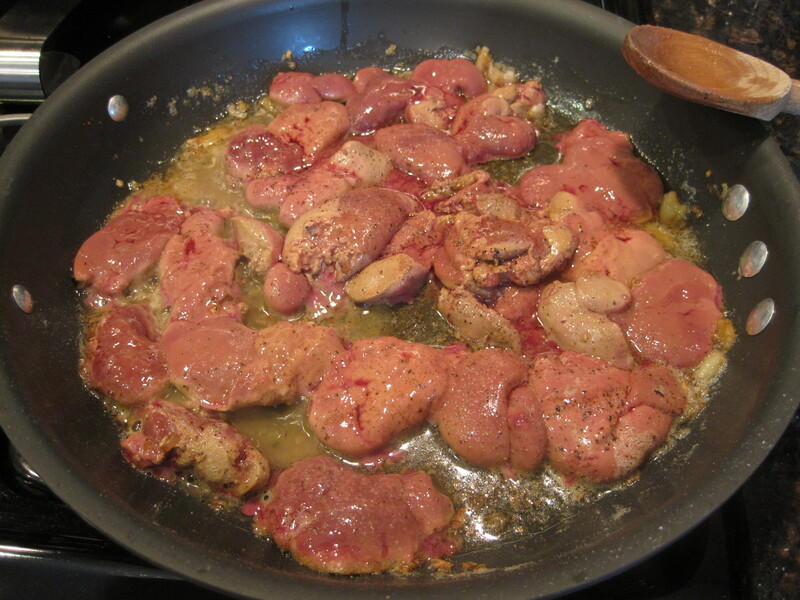 From that early exposure came a lifelong love of poultry livers in all preparations for me. Among my all-time favorite preparations are the yakitori goose livers I had in Hong Kong, chopped chicken livers from Jewish delicatessens, and anything served with an unnecessary slab of seared foie gras. I’d never attempted to cook any of those dishes myself but ever since Mooman casually cooked and put out a plate of delicious chicken liver crostini on one of my visits to his house, I have wanted to give it a try. 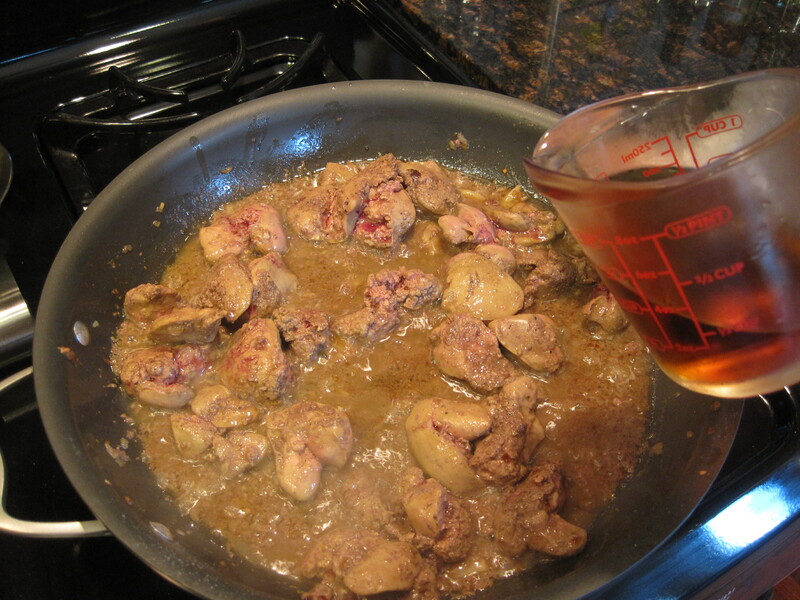 Plus, chicken livers are cheap so the stakes are low. I don’t think this is that weird of a food item but the pictures tell a different story. Regardless, let’s go with WCIC as the category for this one but not put it in the title, OK? 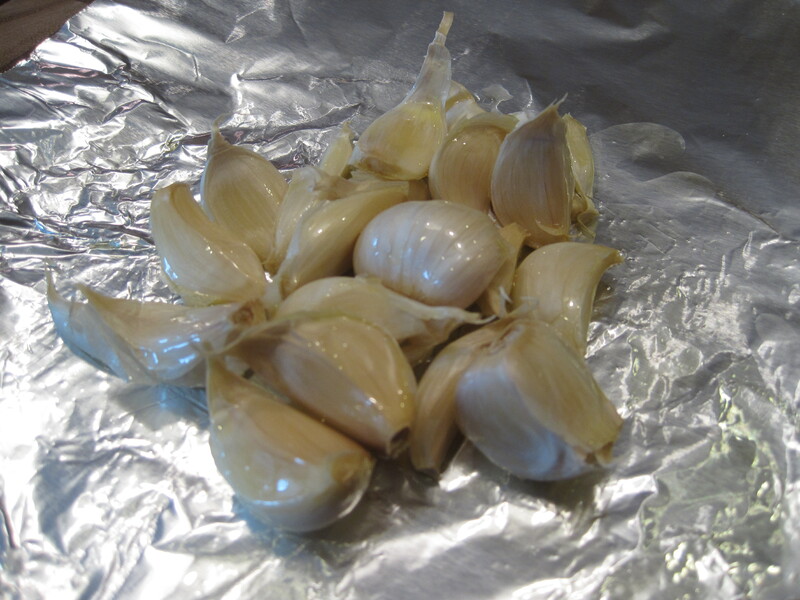 I got started by roasting some garlic. After an hour plus cooling time, I was ready to dive in. Here is another one of those lineup shots I enjoy so much. Back to the livers. The pound and a half you see cost about $2, and at the time I took this picture I was still too scared to actually open the container. Eventually, I realized I would have to in order to cook them. I poured these directly into a colander for a good rinsing before cleaning and trimming them. 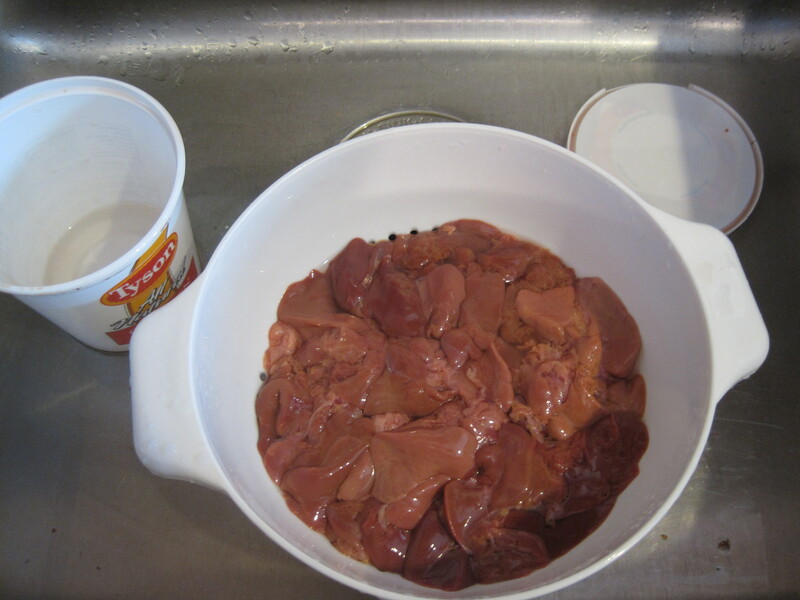 I had to do some research on how to clean chicken livers. 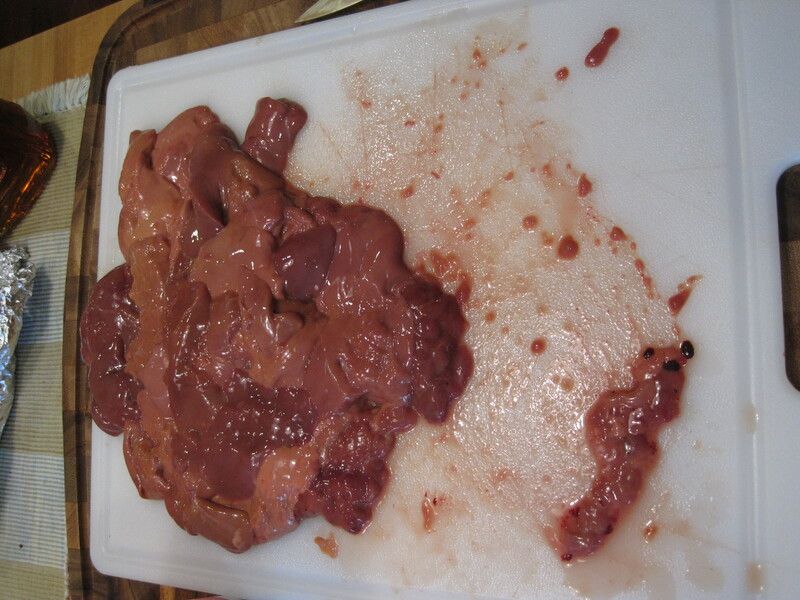 It’s mostly just trimming fat and connective tissue off, cutting out any spots that are green with bile, and rinsing away any blood vessels. Not too appetizing, but not too different than trimming any other meat. Out of the pound and a half of livers, I ended up with about a quarter pound of throwaway parts due to generous trimming. 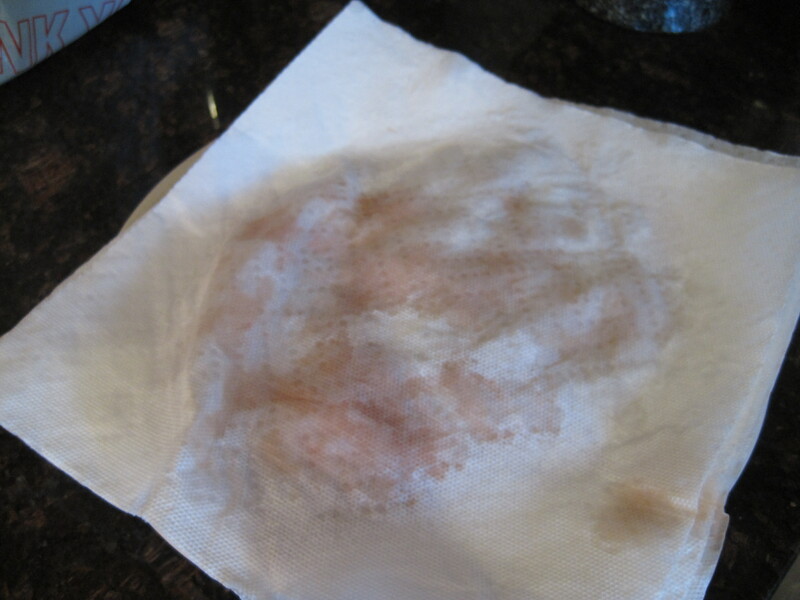 The livers went for another rinse and then into some paper towels to dry. 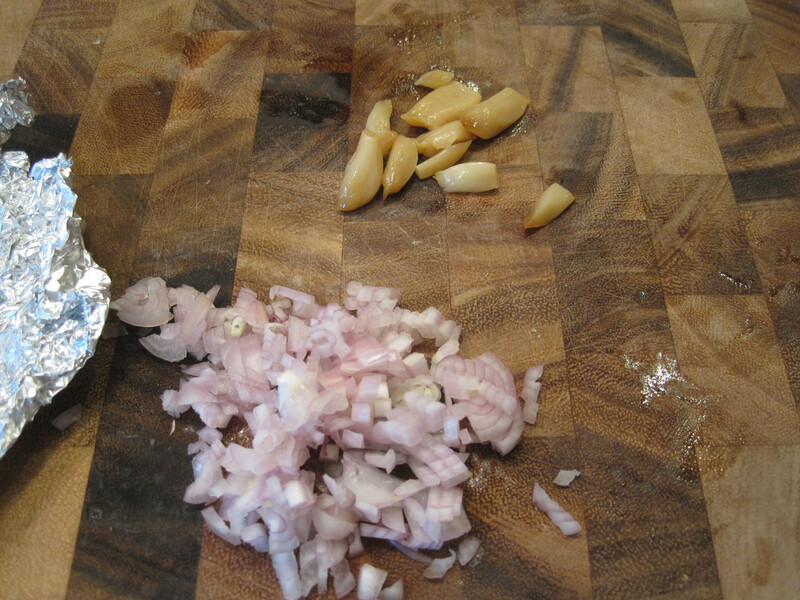 While the livers dried, I chopped up a shallot and 6 or 7 of the smallest roasted garlic cloves. These went into a hot saute pan with butter and olive oil for a few minutes before adding the livers and a good amount of salt and black pepper. After five minutes, a half cup of brandy joined the party. The brandy cooked off for a couple minutes before I removed the pan from the heat and let cool for ten minutes. The contents of the pan went into the food processor with a splash of half and half, more salt and pepper, a tablespoon+ of curry powder and a little sugar. I was really guessing on what spices to use since I saw allspice recommended on a few sites and I am not a huge fan. 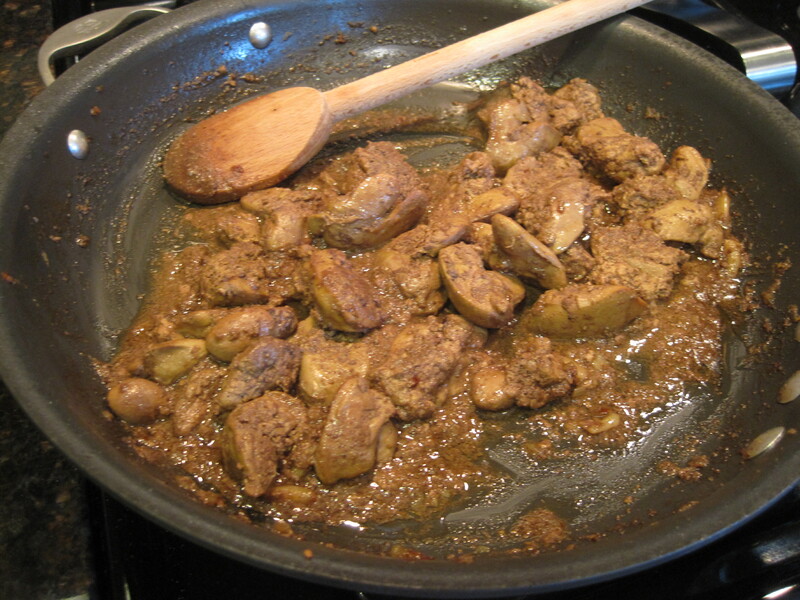 So, I went with curry powder for no good reason aside from liking the combination of curry powder and chicken. Instead of pouring directly into the dish it would set in, I saw a good suggestion online to press the puree through a mesh sieve to get a finer consistency. So that’s what I did. 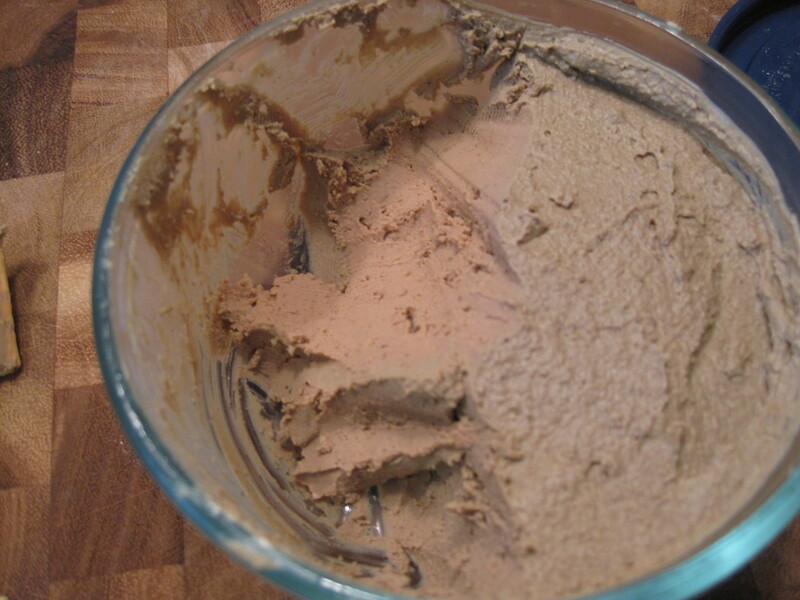 The mousse needs to set in the fridge for at least a few hours, but according to the intranets, it is at it’s best a couple days later. 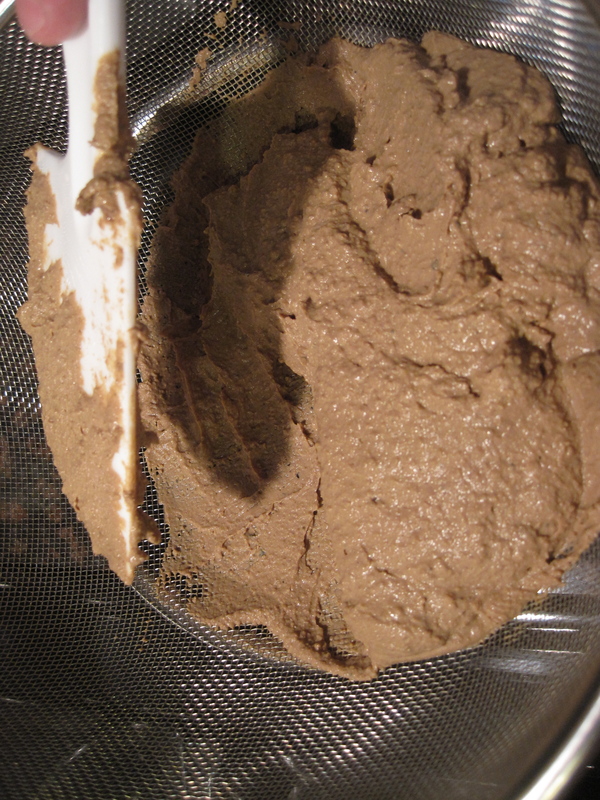 The biggest difference between the taste after a few hours versus a couple days is that the less appetizing flavors of chicken livers mellow out a bit. 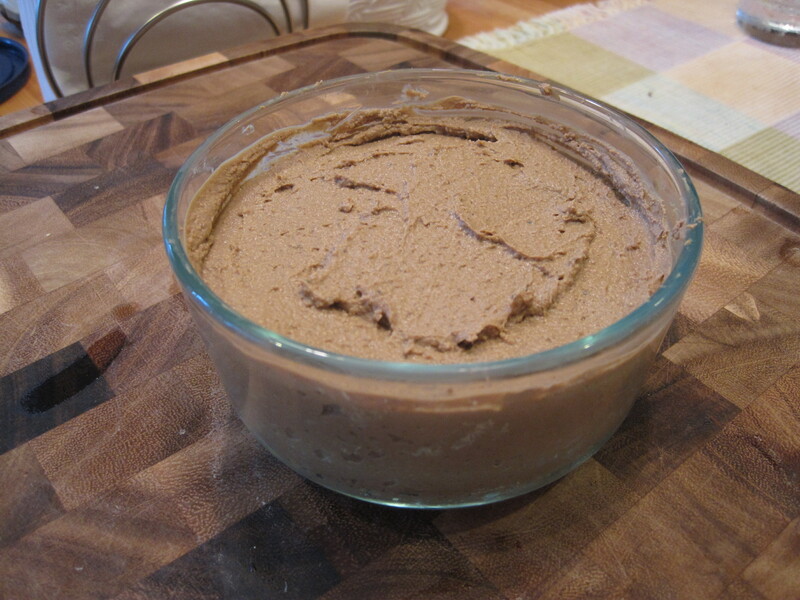 The flavor of the mousse was on par with some of the best chicken liver varieties I have tasted, which is more a representation of how easy it is to make than my skills. 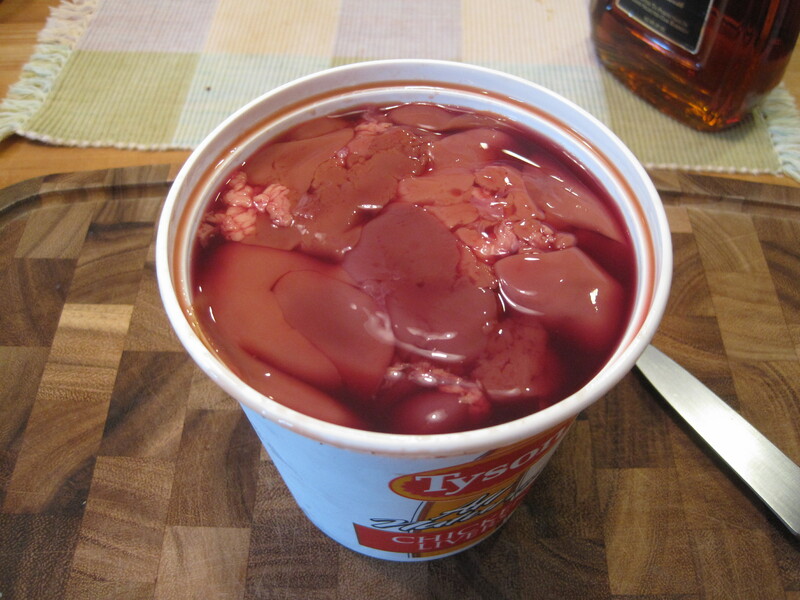 The liver flavor isn’t overly strong but you definitely know what you are eating. The less prominent flavors of curry powder, black pepper, and a little sweetness from the brandy and sugar all work really well together. Really good, and an additional dish to make if I am ever asked to bring charcuterie to a dinner party, which becomes less likely with each additional post like this. Bonus post-feeding Janet shot time! Next week will be a post from Long Beach Island, home to my favorite clammin’ grounds. Since I’ve covered clams pretty well, I hope to give a shot to butchering and cooking yellow fin tuna collar. We’ll see if that works out.